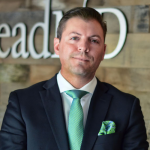 Simms Jenkins, Founder & CEO of BrightWave and author of The New Inbox, joins LeadMD’s Justin Gray for this week’s episode of Driven: How Did I Get Here? What does BrightWave do? And what do you do for the company? BrightWave is a very focused digital agency concentrating on email and CRM for leading enterprise brands like Chick-fil-A, Equifax, Mattress Firm, Panera Bread and many other leading brands. We manage and advise on email and CRM programs to drive stronger relationships and greater revenue. My role has changed dramatically over these last 12 years or so. I recently hired on Raj Choudhury as the President of BrightWave, which I’m very excited about. It has freed up a lot of my time and dramatically changing my focus. For the last 12 months, I had been spread very thin and not able to really go deep into a lot of things that were important. Now I’m much more focused on external planning, corporate development, business development, marketing, partnerships – a lot of things that have probably been underserved over the last 24 months or so, but as a result of me turning over a lot of the internal operations to Raj, I can now do them. My day to day still varies greatly, but I’m really much more focused on the external things, rather than internal as before. That’s a pretty critical inflection point and one that a lot of founders struggle with. Did you just get to a point where you said, “I am being spread too thin, I can’t focus on anything that really goes deep and I need to make this change?” Or was it something that the organization came together and made as a group decision? There wasn’t necessarily a straight line to the decision. It was more that I knew that in the last year that I needed some help and some advice. Raj was a guy that I already knew, and he was available as a free agent. It allowed me to put the focus on cherrypicking a smart candidate, who has a lot of agency experience, and have him spend 15-20 hours for a couple of months helping me out. From there, I’d figure out what I needed to do after that. Then when we realized that we worked really well together and it was a very good fit, we quickly tried to figure out how to bring him on in a more formal, full-time role. It wasn’t something that I would have probably pursued aggressively outside, but it was more opportunistic. I noticed some of the stats on your website, including the Inc. 5000 for five years in a row – which is no small feat. You’ve also mentioned BrightWave has been around for 12 years. In the world of digital marketing and email marketing, that is quite a length of time! Congratulations on the longevity! Let’s take a huge rewind and dive into what you wanted to be when you grew up? A professional baseball or basketball player. I went strong with that. In about 7th or 8th grade, I realized that it might not happen. I wasn’t somebody that was necessarily thinking that far ahead. I was a history major in college. I was somebody that wanted to get a lot of different experiences and exposure in life, but didn’t have a clear path. I knew more about what I didn’t want to do rather than what I wanted to do. I tried my hand at a few places. My father was in financial services with Morgan Stanley for 30 years, so one summer, I did an internship there and realized quickly that it wasn’t a great fit for me. I also interned at the White House. Politics was something that was probably the closest thing to what I thought would be an interesting path. I grew up in Maryland – close to D.C., so that was intriguing. After working at the White House, I figured this was a great thing to do for a couple of months, but not the career for me. I found my bearings when the dot-com era came about in the late 90s. Once I saw that emerging, I was all over that and sprinted to it as fast as I could. For more about how Simms’ path to entrepreneurship and tune in to the podcast. Connect with Simms on Twitter at @SimmsJenkins.